How different are our children! And of course, they like to play different games and different toys. 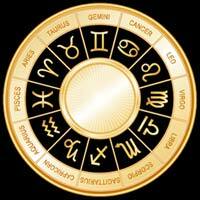 Features of the Zodiac signs are also reflected in the favorite activities of our kids. In the summer your child will, as always, feel the need to use his boundless energy. Ball games, cycling, sports and any other mobile games will bring him a lot of joy. His book should be bright and very interesting, full of adventures and with the colorful pictures. Your baby from an early age tends to do something very special, and he is never afraid of the difficulties and obstacles, that may occur on his way. If you decide to go to the cottage together with your little Taurus, do not forget to take the scoop and the molds for the sandbox. Even if there is no way to play in the sand on the yard, your child will be very happy to help you with your plants, and if, with his participation, something else will grow there, he will be really delighted. Cassettes with recordings of your child's favorite songs also come in handy - many Tauruses love to sing since their childhood. This child's attention is turning so fast that he needs his toys to be many and various. Make sure that he always has somewhere beside him: an interesting book, interesting intellectual game, constructing cubes, tape recordings of poems and tales, and of course - a good companion with whom he could discuss why Cinderella is called Cinderella and how do the planes fly. If your child is born under the sign of Cancer, he will surprise you with his ability to play quietly alone, with his imaginary friends or pets. Another his favorite pastime - water treatments in any form. It would be nice to give him an opportunity on a sunny day to splash in the inflatable pool, or at least give a bath to his favorite doll. Do not forget to bring his favorite toy and a book of fairy tales. For the small Leo it is very important that everything he does, was done with the approval and admiration of the others. He loves to play various games, especially those where you can win - tennis, badminton and football. Cycling, too, may give him a lot of joy. Little Leos love to paint, so the album and the paint will be very helpful. The books, that he is usually choosing, are bright and with a lot of exciting adventures. For the children, who are born under the sign of Virgo, a trip to the cottage will be interesting and entertaining. They love to dig in the ground and to look after the garden. In addition, Virgo can spend endless hours playing with all kinds of toy constructors, and he will not lose any - even the smallest - part of it. Girls are often attracted to the needlework and boys love handcrafts. Children Virgos will also be very pleased to help adults in the household. Going to the cottage with the young Libra, remember that this child needs enough exercises for his mind and soul. So all sorts of smart games, bright constructing cubes, interesting books, paints and pencils, music will be very helpful. Your child strives for beauty and harmony, and it is important to a child to develop his aesthetic abilities. Like other water signs, little Scorpios love to tinker in the water. Various boats and inflatable toys in the pond, dam building or simply bathing will bring a great joy to your child. In case of a bad weather your baby will enthusiastically engage with sculpturing from the clay or painting (or even both). In any case, you must find for him something serious and important - for sure he will have enough energy for any game. For a small Sagittarius, trip to the nature will be a real feast. Forest walks, squirrels and hedgehogs, taking care of a rabbit or hamster will cause his keen interest. To fully enjoy the wind of travels and trips, it is useful for a little Sagittarius to have a scooter or a bicycle, which can be so much fun to drive in all neighborhoods. This kid is collecting himself for the trip to the country side very properly. Little Capricorn takes care to put in his suitcase everything: his favorite toy, his cap and his favorite book. Also he will remind you that you have to take his rubber boots. As any earthly sign, he will be happy to tinker in the garden and to play with the constructor. Generally, small Capricorn will like any useful work, whether it's repairing a tricycle or sewing an apron for the kitchen. The main thing for a kid, that was born under the sign of Aquarius - everything must be interesting. And not just interesting, but "Wow, how interesting!" All sorts of constructors and educational games, books about the adventures and fantastic countries - your Aquarius needs this more than even air. Ordinary toys, bunnies, teddy-bears and dolls are unlikely to attract the attention of a little Aquarius. Space game - that's another story! Also your small Aquarius will be happy to play with any pet and to take care of him. Little Pisces - this dreamers - would like to turn the whole world into a fairy tale. Pisces likes any activities that may give enough place for their imagination. Drawing and coloring, playing with dolls and soft toys - your little Pisces is easily creating a fairy tale right in his life. Most Pisces are very musical, so bring his favorite recordings of melodies and songs.